Well, if “Huh?” is your stock response to supper clubs too, rest assured, Director/Producer/Editor Holly De Ruyter is here to grant some perspective with her 51 minute documentary “Old Fashioned: The Story of the Wisconsin Supper Club.” De Ruyter grew up just outside Green Bay, Wisconsin and therefore has an intimate history with the establishments in question, and delightfully takes the long way around in explaining what a Supper Club is, who it's for and why it endures. The Old Fashioned of the title refers to three things. It refers to the Old Fashioned itself, a cocktail, always made with brandy, not bourbon or whiskey, which traditionally begins the meal and ends the meal. It refers to the history of the supper club itself, one that goes all the way back to Prohibition, which explains their predominance along rural highways and back roads, places you wouldn’t even think to look. And it refers to the dining experience itself, one of a more, to quote Ben Kenobi, civilized age, when a meal was not simply What You Ate but an Experience Shared. That latter point is the film’s central one. De Rutyer visits numerous supper clubs, most with appealingly kitschy names and varying décor meant to approximate the individual owners’ respective tastes, and interviews myriad Supper Club proprietors and patrons, all of whom hone in on one detail more than any other – namely, to what degree the Supper Club fosters community. I lost count of how many times the phrase “Chain Restaurant” was employed in a politely derogatory way, meant to approximate the modern dining experience in the Midwest where convenience and speed take precedence over settling in and hanging out. 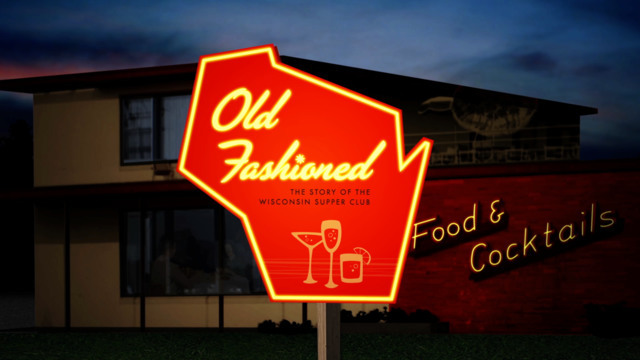 And that’s why “Old Fashioned” itself was sometimes at odds with the expressed mission statement of Supper Clubs. De Ruyter keeps the documentary moving at such a swift pace that you almost wish she abided more by that code of decelerating life’s wearying advance to really hunker down and take your time. Though many people get a turn to speak, you sometimes wish there fewer interviews and more eavesdropping, opting for a fly on the wall approach, allowing the Supper Club ethos to simply wash over us rather than being explicated by a series of occasionally repetitive talking heads. Even so, the primary initiative of “Old Fashioned” is Supper Club outreach, and at this De Ruyter succeeds by espousing those virtues with so much Midwestern mirth, never more so than with the starmaking couple of William & Judy. He never talks, she talks a lot, and together they illustrate a folksy comfort in their relationship that resembles the kind of folksy comfort inherent to the Supper Club itself. It might seem like little more than a niche film, specifically catered toward the audience like the one I saw it with at the Gene Siskel Center here in Chicago, only 50 miles south of the Wisconsin border, where a good chunk of the audience seemed to already have personal relationships with places seen on the screen. Still, the film’s sermonizing is so breezily heartfelt, so earnestly welcoming, that I half-suspect that even if it was screened in, say, New York City, half the audience might be tempted to rent a car and cruise upstate, scouring the Catskills for a goyish place to get a brandy old fashioned.